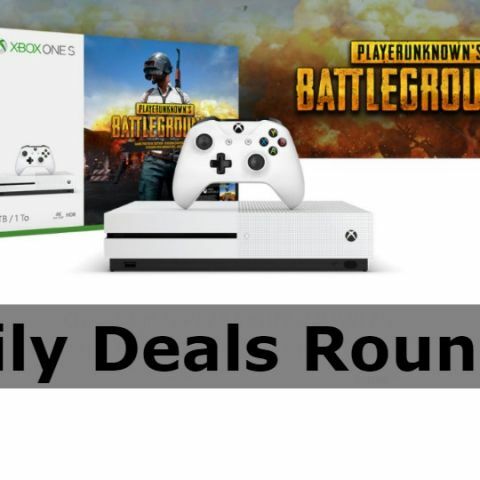 Another day, another daily deals roundup. Today we’ve put together a list containing some gadgets like laptops, gaming consoles, smartphones and more. In this list, you will find gadgets from Sony, Honor, Xbox, and others, which are on sale at a discounted price. f you’re looking to buy a smartphone or a gaming console, this deals roundup got you covered. We’ve dug through the web and found some good deals on a wide range of products from some well-known brands such as Asus, Sony, Apple, and more. The Huawei Honor 9 Lite is powered by a 2.36GHZ Octa-core HiSilicon Kirin 659 processor, which is paired with 4GB RAM and 64GB of internal storage. The smartphone comes with face recognition, along with portrait mode both from the front and rear cameras. The device is equipped with a rear 13MP + 2MP dual-rear cameras as well as dual front cameras. You can purchase the handset here. The PS4 is the latest gaming console from Sony which comes with 1TB of internal storage. As per the company, the console is 30 percent slimmer and 16 percent lighter than the original PS4. The device features a 2.4GHz wifi mode option with 2.0 HDMI output. You can purchase this device here. The Xbox One S 1TB console is on sale bundled with the Player’s Unknown Battleground game. The device supports built-in 4K ultraHD video streaming and also allows users watch movies and access apps like Netflix, Amazon, Hulu and more. You can purchase this device here. The Lenovo IdeaPad 320E is powered by Core i3 6th GEN processor paired with 4GB DDR4 RAM and 1TB of internal memory. It sports a 15.6-inch HD display with a resolution of 1366 x 768 Pixels. The device is equipped with a USB port, one HDMI port, and one USB Type-C port. You can purchase this device here. The Asus Vivobook sports a full HD display with a 1920x1080p resolution. It sports a fingerprint-sensor for unlocking the device and is equipped with a 2W built-in stereo speakers and mic. The company claims that the laptop's battery can attain 60 percent charge in 49 mins. You can purchase this device here.